The sporting events on this page are available to stream live at Bet365. 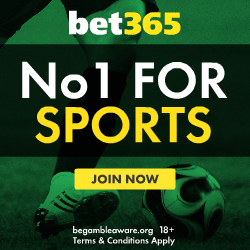 Hover your mouse over a link to see the full competition details and then click to go to Bet365 where the live stream can be viewed after opening an account and making a deposit, T&Cs apply, 18+. The most popular sport to stream in the UK is football, a dedicated live football streaming page is available by following the link. How to watch. 1. Sign up for an account or login if you already have one. 2. Have a funded sports account i.e. your balance must not be zero. You will need to make a deposit or transfer funds from your poker, casino or bingo account should this be the case. 3. Follow any of the live streaming links. You will be automatically be directed to either the mobile or desktop streaming service. 4. Any currently streaming events will be listed under the "live now" tab. Click the link to start streaming.